It’s been a few weeks since Expo East, but – like every year – this time of the year is nuts for me and I’m so behind! I’m slowly but surely gathering my favorites from Expo East. 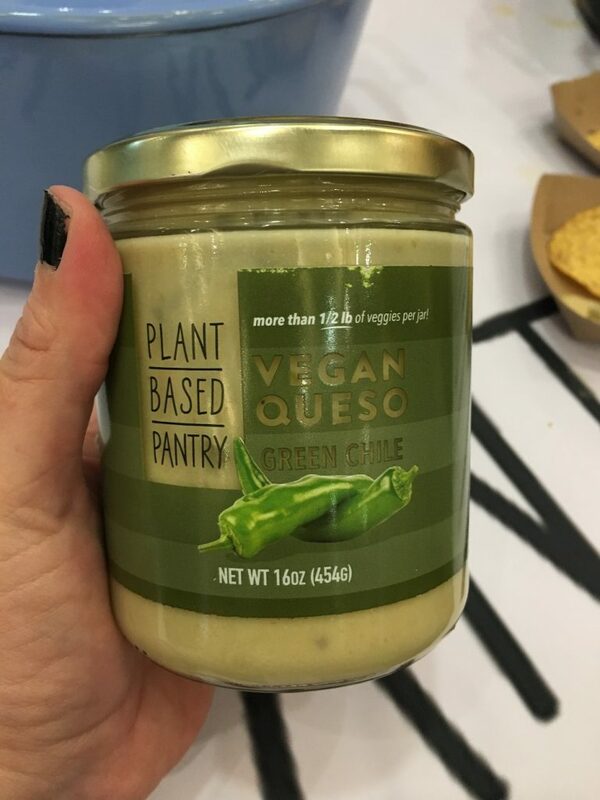 I’d like to highlight my favorite finds using vegan cheese at the 2018 Natural Products Expo East. 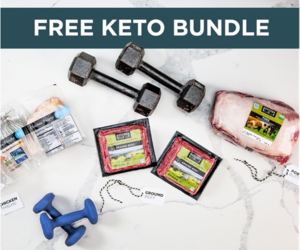 Find cheese-y news from Mikey’s, Daiya, Miyoko’s, Follow Your Heart, Parmela Creamery, and more! If you’ve been following my Instagram at all, you’ve been seeing Mikey’s new Pockets everywhere. Especially since they just stocked them at my very own Sprouts. At Expo East, I must have eaten at least 6 whole pockets. No judgement. If you have the ham and cheese near you – do it! 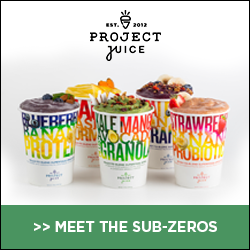 Are these vegan? No girl, that’s ham you see. Also, there is egg in the paleo crust. BUT, it uses dairy-free vegan cheese. If you’re a meat eating vegan cheese eater, this covers your very special specialty diet. 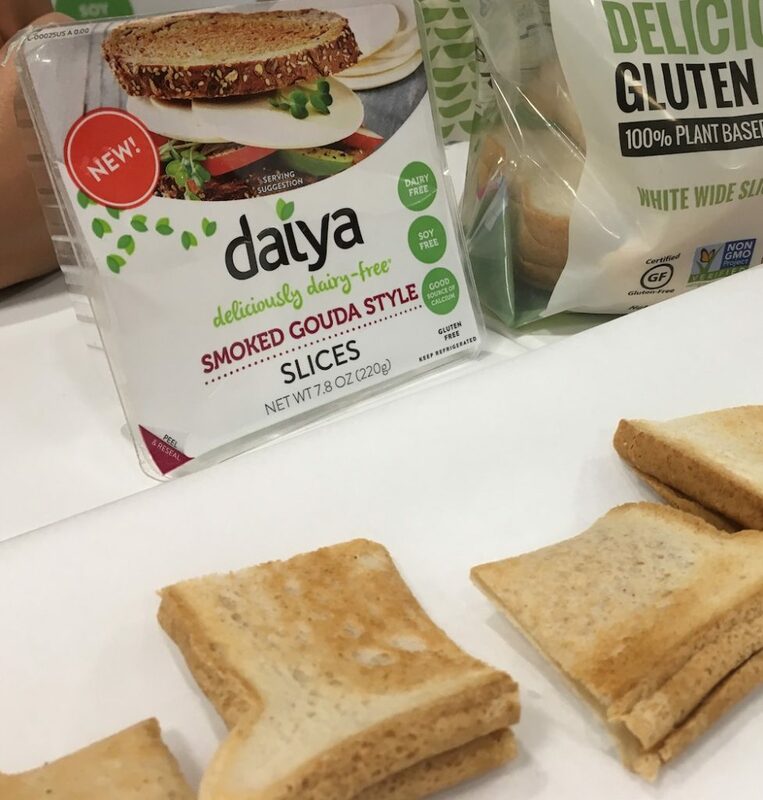 Daiya Foods launched some amazing products at Expo East. I’m not sure when they launch, but I’m excited to see more and more cheese-y innovations Check out the new smoked gouda! For nachos, I typically just melt cheddar cheese, but that might be changing soon. 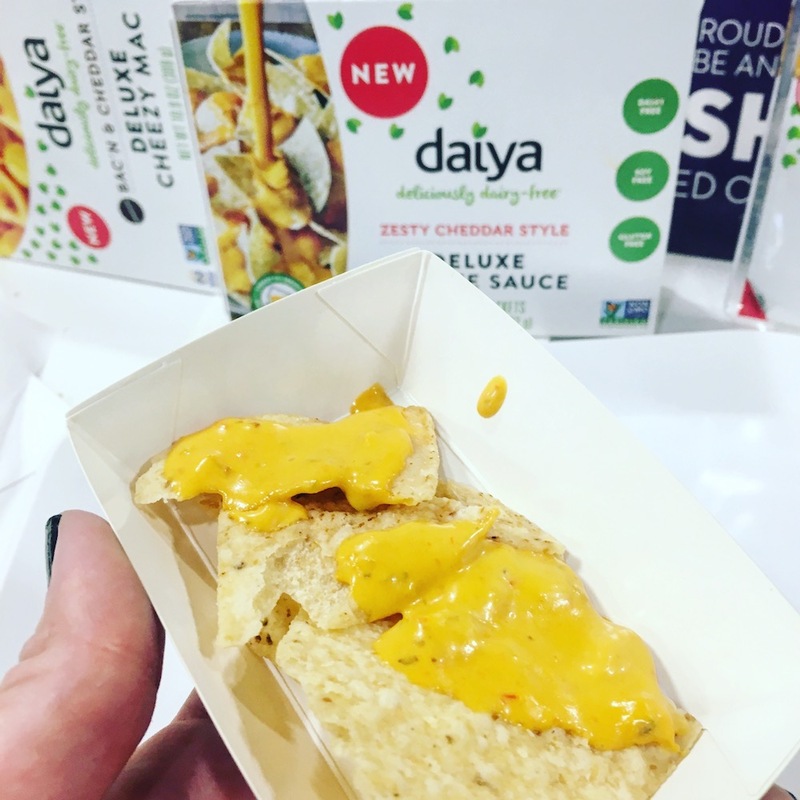 The new(er) Zesty Cheddar Style sauce from Daiya Foods is perfect for nachos. 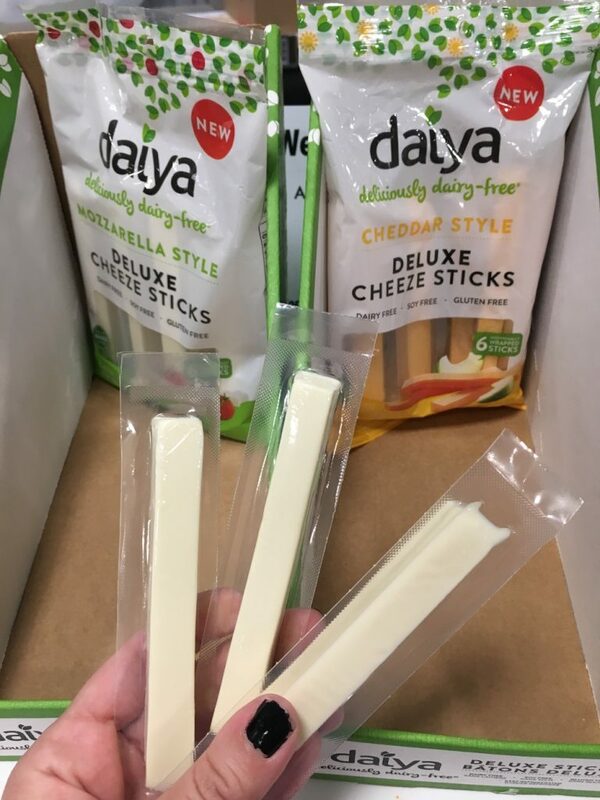 While these string-cheese type sticks won’t be as stringy as I remember, Daiya’s new product will be perfect for dairy-free kid lunchboxes. The Deluxe Cheeze Sticks are available in mozzarella style and cheddar style sticks. Plant Based Pantry cashew-based vegan queso is honestly what I’ve been searching for in a gluten-free dairy-free cheesy soup all along. Yes, it can be used as a vegan dip, but with ingredients like potato in the first ingredients, I honestly would rather use this as the soup I’ve been dreaming about all along. And the owner said you could eat the whole dang jar – potatoes, tomatoes, onions, carrots – sign me up. 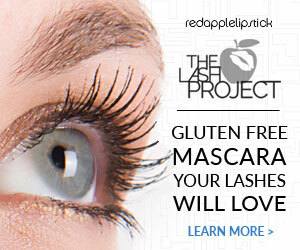 If you want to know the full ingredients, or order some for yourself, check them out on Amazon (affiliate link). I typically don’t buy Treeline Tree Nut Cheeses because they’re a little pricey. I mean, honestly, most high-quality dairy-free cheese is (Miyoko’s and Kite Hill are so expensive). This new maple walnut cheese – not out yet, or at least I haven’t seen it – is SO good. Walnuts make it kind of fatty and tangy, and paired with maple syrup and cashews, so yummy. 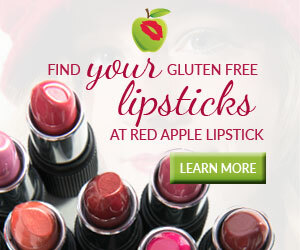 I can’t wait to get these for the holidays! 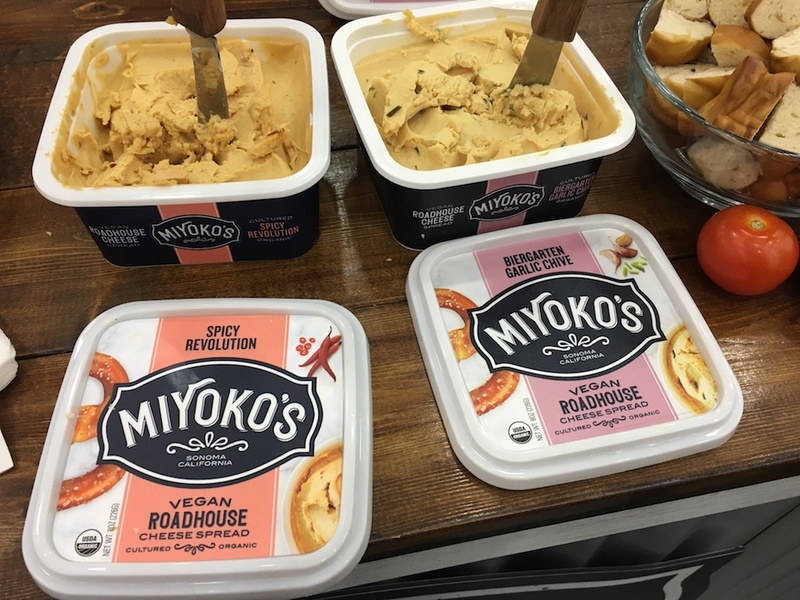 Miyoko’s line of pub cheeses that I’ve reported on in the past (Winter Fancy Foods this January 2018) are now rebranded as “roadhouse” cheeses. Not sure why, but so you know. These spreads are the best for crackers, pretzels, or any other carb dipping device. These are damn delicious. I hope to see them everywhere soon. 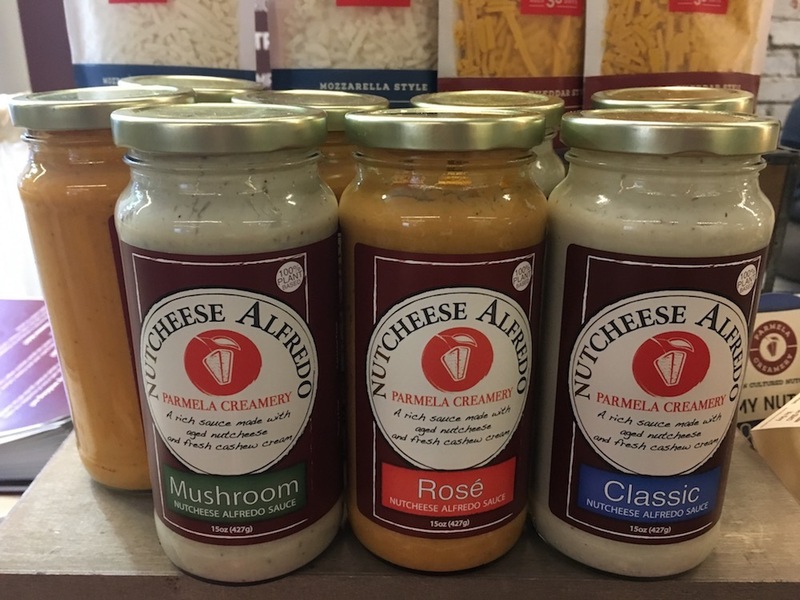 I have yet to try the Parmela Creamery new(ish) nut-based cheese Alfredo sauce, but I’m excited about them. The only other “Alfredo” style sauce I’ve had made dairy free is from a powdered mix, or Daiya’s Alfredo – which is severely lacking flavor. My Whole Foods stocks a lot of Parmela Creamery product and the buyer really loves that cheese. 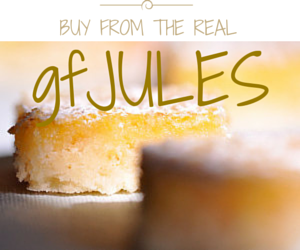 I hate that they are not labeling their products GF, but they contain no gluten containing ingredients. I’ve tested their sliced cheese with the Nima sensor, and all clear for that sample. 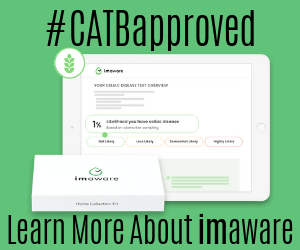 On Vitacost (affiliate link), the ingredients are: Cashew cream (water, cashews), cashew “nutcheese” (cashews, water, sea salt, lactic acid, cultures), white wine, olive oil, sea salt, potato starch, cane sugar, nutritional yeast, garlic, black pepper, locust bean gum, organic natural flavor, basil, thyme, oregano yeast extract, cultures. 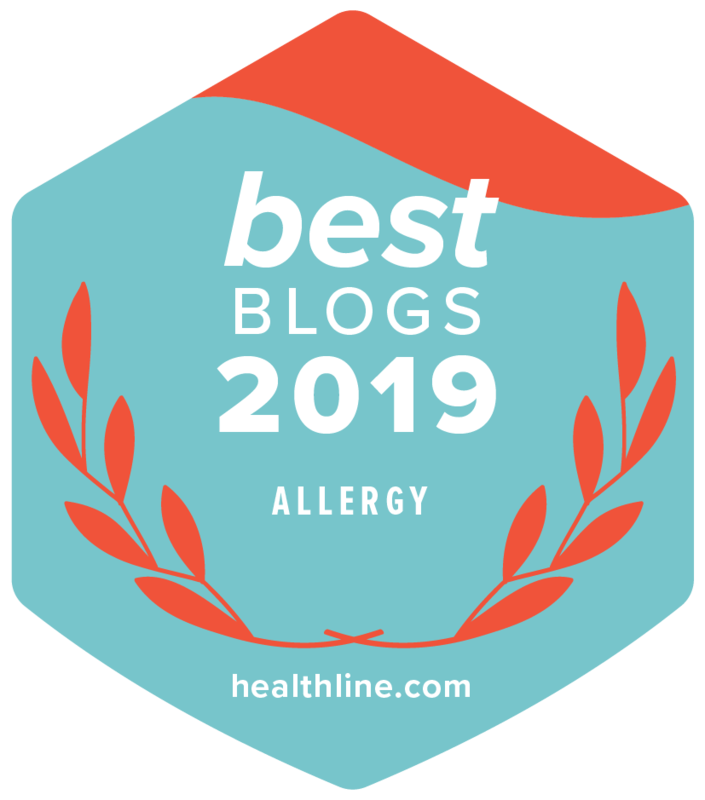 I didn’t even get to talk about Kite Hill, one of my favorite non-dairy cheese brands. I am obsessed with their ricotta – available at Whole Foods – and their yogurts. Or Follow Your Heart, which just launched Smoked Gouda and Pepperjack block cheese. This year at Expo East I was mostly excited about their vegan/gluten-free pancake mix and their new liquid VeganEgg finally launching (soon – hopefully). 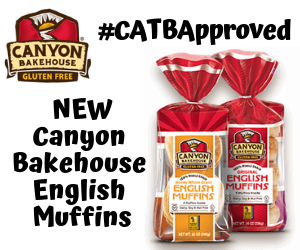 I love their cheeses, their new yogurts, and their new pancake mix, breads, and tortillas. When it comes to the BEST vegan cheese, found at Natural Products Expo East 2018, you will find all of these brands in my personal fridge at one time. 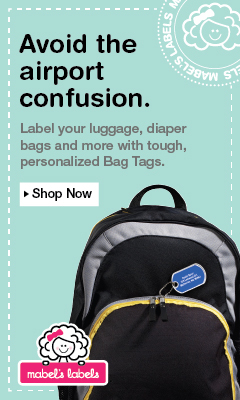 I’m not sure if one brand is farther ahead than the others – as I like bits and pieces of each brand. Mozzarella? Go to Miyoko’s. Mac and Cheese? Go to Daiya (also, check out my Daiya Alfredo Mac & Cheese quick and easy dinner idea here) Cheese spreads? 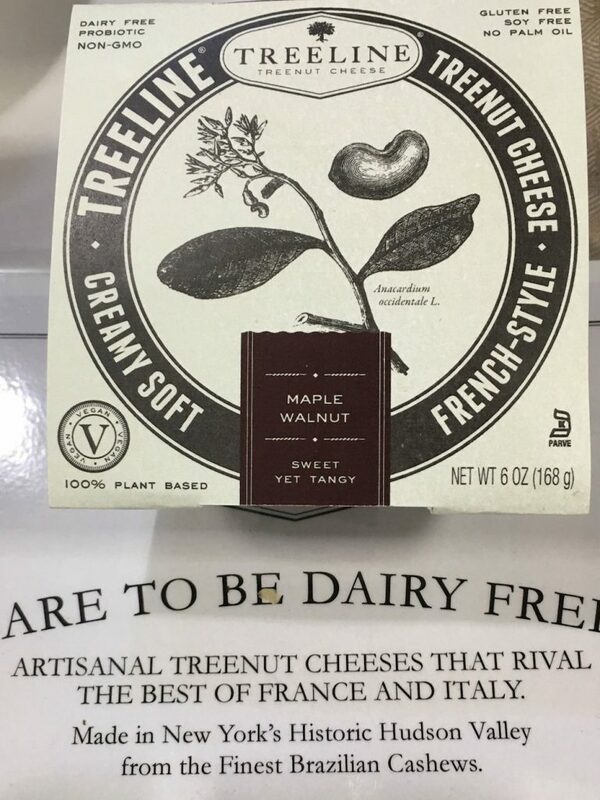 Treeline Tree Nut Cheese. Sharp cheddar slices? Follow Your Heart or Parmela Creamery. Parmesan shreds? Follow Your Heart. I love all of these brands and I’m so thankful for the ability to have safe vegan cheese for those of us who are both gluten free and dairy free. Thanks for trying everything out for us…I know it’s a hard job 🙂 In all seriousness, I love that there’s so many other options out there for vegan cheese. We love Daiya’s cheese sauce as well, especially since its also allergy-friendly. 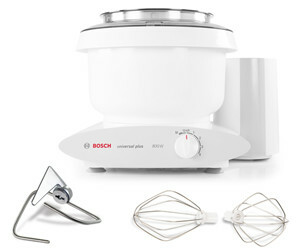 I could use that on so many recipes. Vegan cheese has certainly come a long way! Looking forward to giving Treeline a try! OMG!! 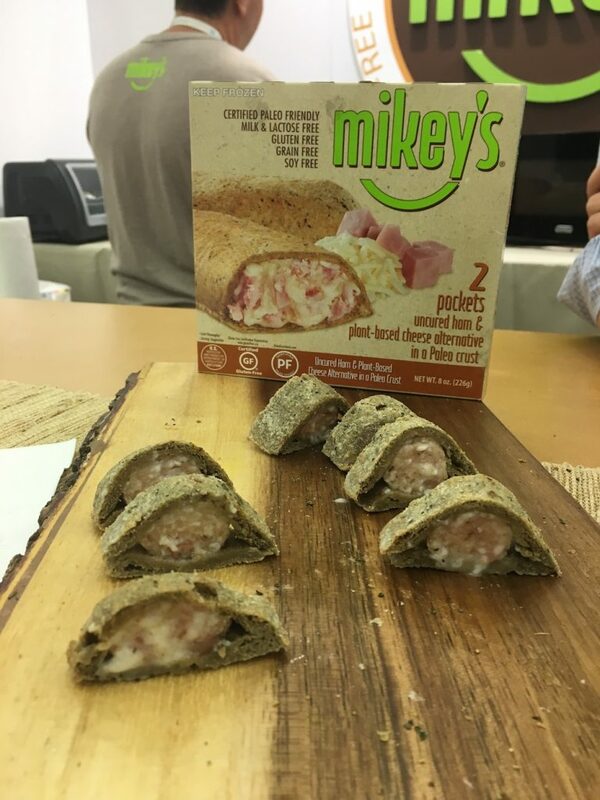 So many new amazing things to look for…Mikey’s makes breakfast pockets now??!!! Can’t wait! I’ve seen Myoko’s products in my local grocer, I’ll have to watch for the cheese! Thanks for sharing all these finds Erica!